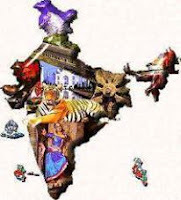 India GK Question Sample Paper 30: India General Knowledge (GK) Sample Question Paper No. 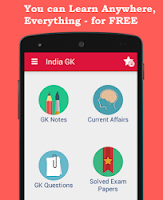 30 with Collection of India GK Questions under GK Quiz in PDF @ India GK Sample Papers. Q.403 Who was the first scientist to got Bharat Ratana? Q.404 Who among of the following there is the first Indian cricketer who played for England? Q.405 Who among of the following there is called the Panchamvesh of Hero? Q.409 Which element used. in storage Battery?